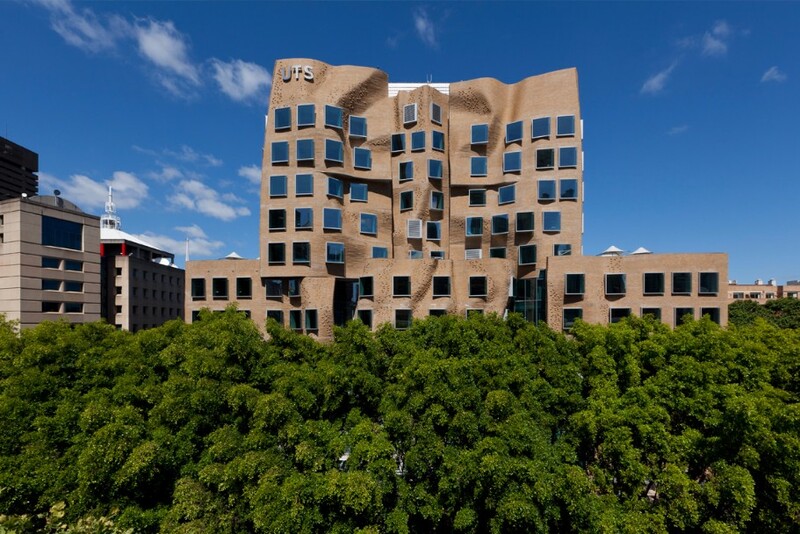 Bent and Curved Glass contributed to the success of the iconic Frank Gehry designed Dr Chau Chak Wing Building which is the new home of UTS Business school in central Sydney. 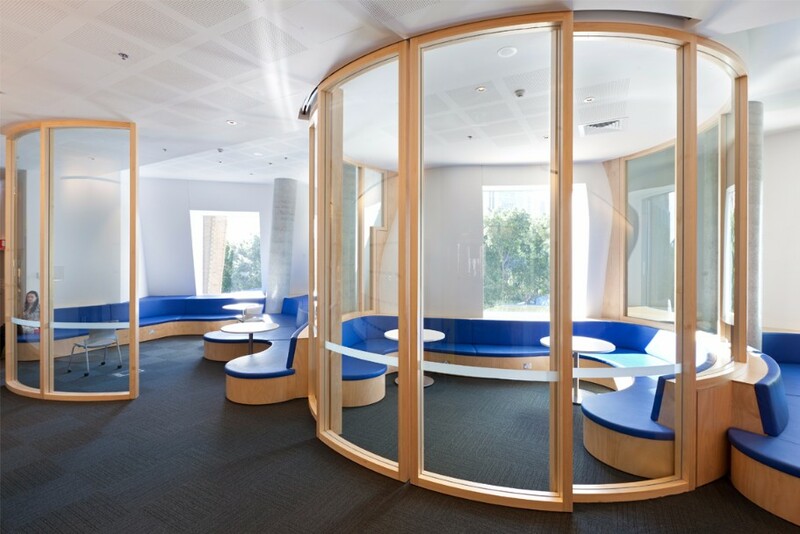 In partnership with Lend Lease and Foxville Interiors BCG manufactured the curved glass elements forming the meeting room pods and dividing screens in the collaborative learning centre on level 7 of this highly acclaimed and recognised building. 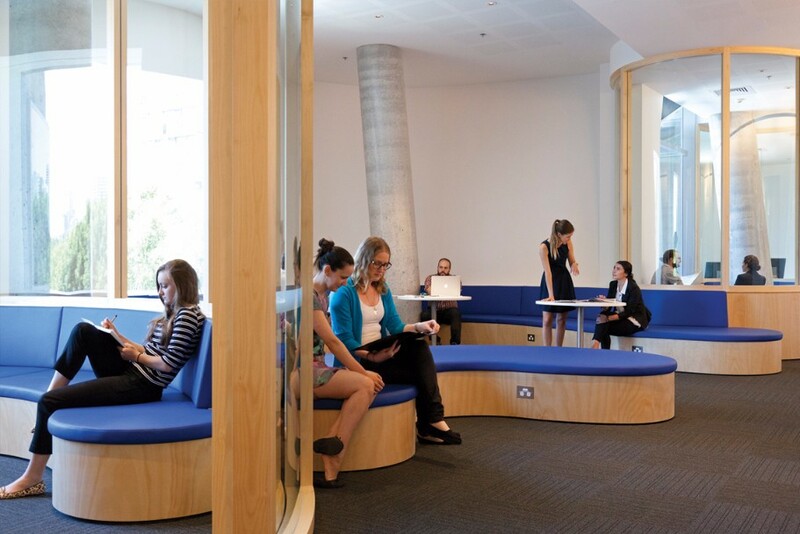 The Pods are a key element in this multi-purpose and interactive area which reflects and reinforces the ethos of the building design. They facilitate engagement and both formal and informal communication to enhance the “cross-pollination of ideas among and between disciplines, researchers, industry and practitioners”. 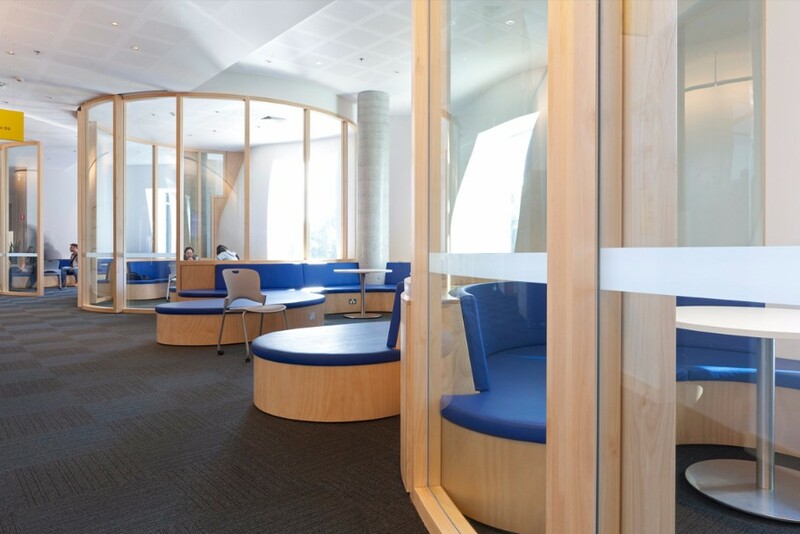 The curved nature of the interior design creates a dynamic space consistent with the exciting and complex geometry of the building exterior as a whole and it’s key elements. 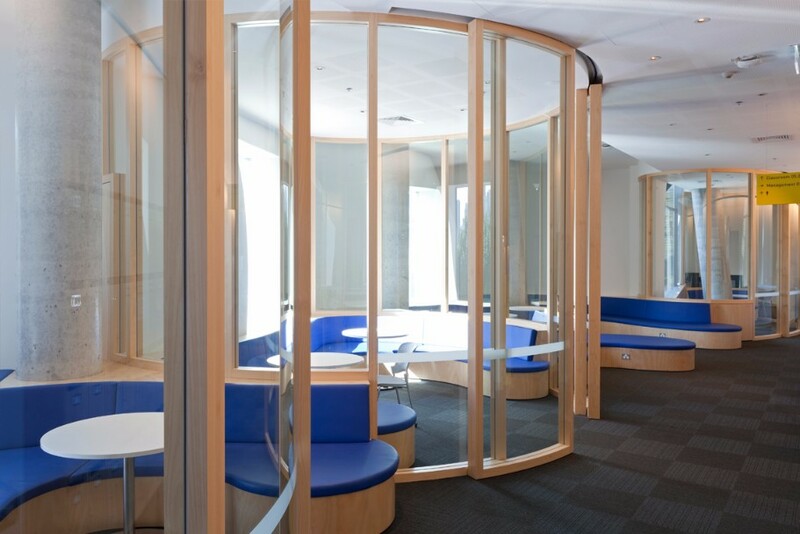 Large format curved glass bi-sliding doors provide a generous ‘welcome’ when open and when closed provide effective acoustic privacy while maintaining the visual connections to adjoining areas which enhance the dynamism and sense of industry within the overall space.